Discover true courage through eyes on Billy Lynn as Sony Pictures releases the teaser trailer for Ang Lee’s Billy Lynn’s Long Halftime Walk. View trailer below. 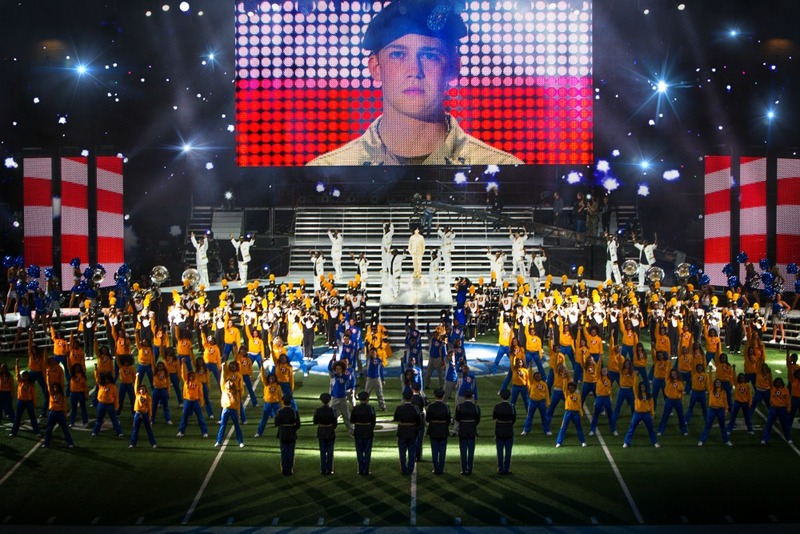 Director Ang Lee brings his extraordinary vision to Billy Lynn’s Long Halftime Walk, based on the widely-acclaimed, bestselling novel. The film is told from the point of view of 19-year-old private Billy Lynn (newcomer Joe Alwyn) who, along with his fellow soldiers in Bravo Squad, becomes a hero after a harrowing Iraq battle and is brought home temporarily for a victory tour. Through flashbacks, culminating at the spectacular halftime show of the Thanksgiving Day football game, the film reveals what really happened to the squad – contrasting the realities of the war with America’s perceptions. First, I know that this is based off the book of the same (by Ben Fountain), but its an odd title (especially a movie). Regardless of its name, Billy Lynn’s Long Halftime Walk looks to be interesting. Of course, I’m talking the movie’s theme and message will indeed by a palpable one with usual military flair that are commonly associated with this genre, but also (as I expect) that Billy’s story is going to be interwoven throughout the course of the halftime show. The story looks good, the cast looks good…and hopefully Billy’s tale will be a good one as well. Films about just how screwed up the Iraq war really was interest me. Hopefully this is a good one. Oh, I agree. Movies about the Iraq War (both in its nation and in the soldiers that fought in it) are interesting to me. Hopefully this movie turns out to be great. I’m really surprised they would give a lead role to an unknown in this film. Something about the trailer didnt work for me and I cant quite put my finger on. Haha….not every trailer works for everyone, As for unknown lead, I kind of like it. Its kind of like “unbiased” look into his acting as a viewer doesn’t have something to compare it to.